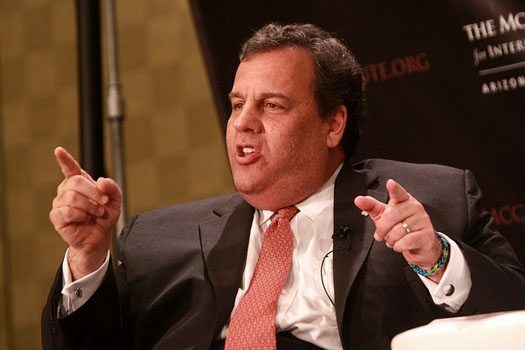 In New Jersey, the low-approval-polling Chris Christie has decided his high noon showdown will be with nonprofit health insurer Horizon Blue Cross and Blue Shield. As a matter of fact, he’s threatening to hold the budget hostage if state legislators don’t pass a bill to allow the state to raid the insurer’s coffers for its excessive reserves. We first covered this story in April, but now it has become an ultimatum that threatens a government shutdown today. Excessive reserves at nonprofit health insurers are a longstanding irritant to consumer groups and to states, especially when rates go up and the organization’s overdeveloped liquidity is combined with high executive compensation. But when the state demands a portion of those reserves for uses it designates, it 1) creates a slippery slope of the impounding of nonprofit reserves by the state, and 2) essentially amounts to a tax on already overburdened consumers. Control over how New Jersey’s largest insurer allocates its surplus money is at the center of the state’s ongoing budget debate. Senate Bill No. 4, introduced on June 22nd, aims to clarify the “charitable role of heath service corporations” and is directed at the nonprofit insurer Horizon Blue Cross Blue Shield of New Jersey. The new law would give the state’s Banking and Insurance Commissioner control over how much money the insurance company keeps in its reserves in addition to altering the organization’s board structure and requiring the insurer to regularly publish financial information. The dispute over the bill comes as New Jersey lawmakers work to either finalize a state budget today or else face a government shutdown that would shutter state-run parks, beaches, and courts; stop road construction; and furlough thousands of state workers. Governor Chris Christie, the force behind the bill, argued for more accountability and transparency from the insurer and alluded to the need to pass the bill in order to sign off on Democratic spending priorities. The focus on Horizon began in February when Christie requested a $300 million donation from the organization to help fund addiction treatment programs. The insurer opposed the request, arguing that tapping into reserves could destabilize the organization and, in turn, drive up premiums. Christie’s interest in New Jersey having a strong state program may be tied to his being tapped in March to head President Trump’s task force on opioid addiction. In a press conference last Wednesday, June 21st, Christie lambasted Horizon, saying it had “brazenly failed its members.” According to the governor, Horizon had mishandled claims and misreported financial information, resulting in a $15.5 million fine from the Department of Human Services. The organization also failed to properly manage a recently introduced Medicaid payment system, resulting in the withholding of $8 million from medical and other healthcare providers. In a statement, Kevin McArdle, a spokesman for Horizon, pushed back against Christie’s statements, claiming that they were in retaliation for the insurer refusing the governor’s $300 million ask. “For seven years, the governor had nothing to say about Horizon,” McArdle said. “His comments strongly suggest that this is further retaliation for Horizon’s unwillingness to submit to his demand for $300 million from the reserves we hold to protect our members and an abuse of power.” Horizon also claims the issues with the Medicaid payment system have been resolved and the organization had paid $400,000 for wrongly withholding payments. The insurer plans to challenge the fine levied against them by the New Jersey Department of Human Services. Also opposing the bill is National Blue Cross Blue Shield Association (BCBSA) president Scott Serota. In a letter penned to N.J. State Senator Stephen Sweeney (D-West Deptford) and State Assembly Speaker Vincent Prieto (D-Secaucus), Serota argued that the passage of the bill could cause Horizon to lose its BCBSA branding and reduce its ability to operate independently. The loss would result in “severe and immediate implications under BCBSA’s licensure rules,” according to Serota, including a termination of Horizon’s BCBSA license rights and a $400 million licensure termination fee to the BCBSA. Prieto voiced his concern over the focus of the bill on one single entity, saying, “There is in no way, shape, or form we are going to take up a bill of that nature against one nonprofit.” Likewise, Assemblywoman Elizabeth Maher Muoio (D-Mercer/Hunterdon) argued that those who paid into the reserves should be prioritized over special projects. “Allowing this would essentially amount to a tax solely on Horizon policyholders to fund state initiatives” she said. What a problem—only 29% of these nonprofits’ program revenue comes from reserves! This survey of nonprofits is not exactly representative, so let’s not place too much weight on its findings.